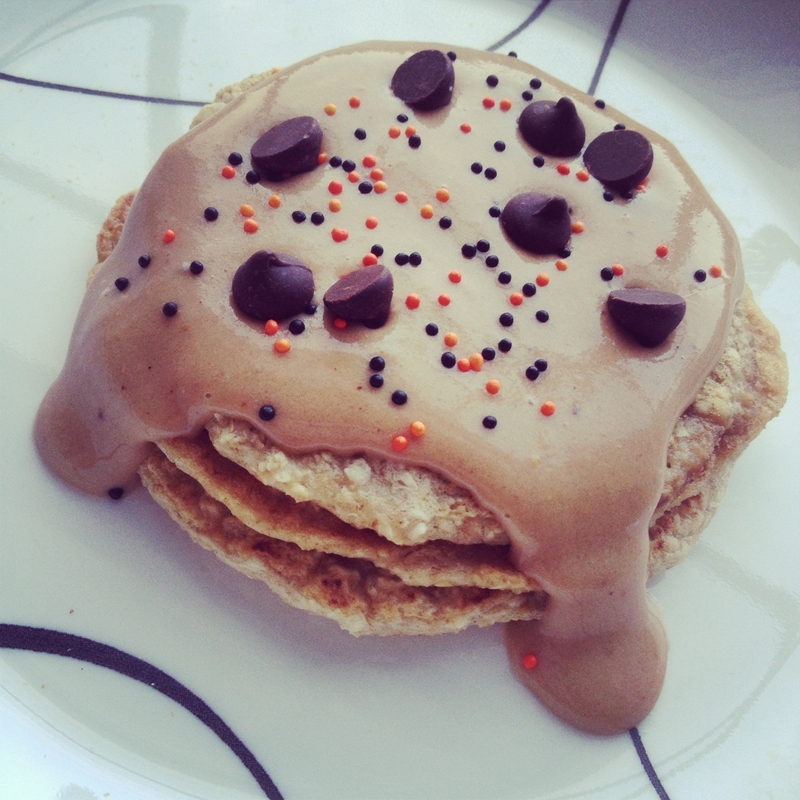 Reeseâ€™s Protein Pancakes for Breakfast! Combine the following in a blender: Â½ cup oats, 1/3 cup unsweetened almond milk, 1 tsp vanilla extract, and 1 tsp baking powder. Blend. On a medium heat skillet, cook up 3 medium sized pancakes, flipping when the bubbles appear in the batter. Combine the following for the topping: 1 scoop vanilla protein powder, 2 TBSP chocolate PB2, splash of water, and Â¼ cup sugar free syrup. Top with sprinkles and a few dark chocolate chips.